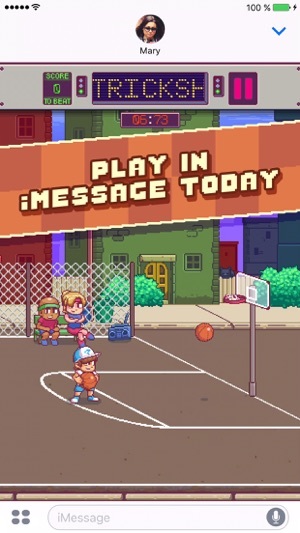 The #1 iMessage basketball game. How many baskets you can score in 30 seconds? 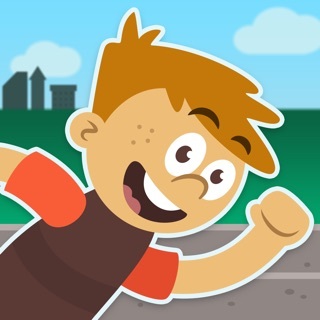 Challenge, play and have great fun with all your friends as you try to out score each other! 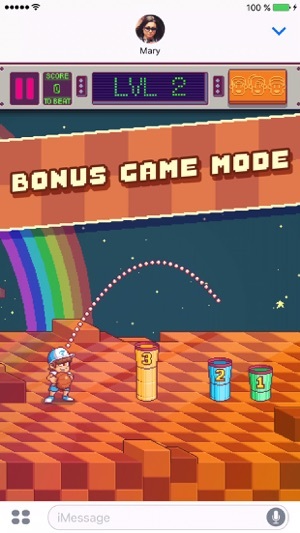 Unlock new players, locations and an amazing bonus challenge mode, or just try and play some trick-shots! 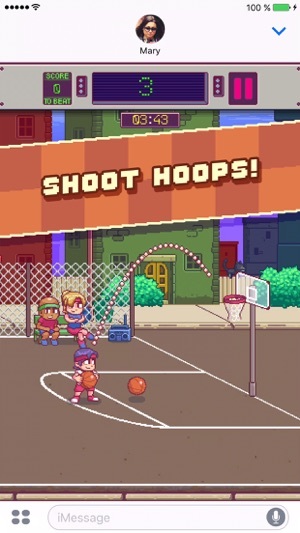 Check out Cobi Hoops 2 for even more awesome basketball action! 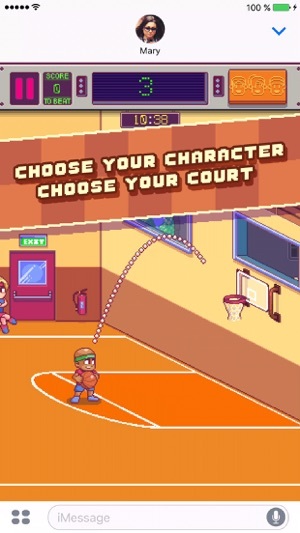 Cobi Hoops (update v1.6), how many baskets can you score? Thanks for playing, the No.1 Messeges basketball game. Can you beat your friends? Meehh! Has potential! In need of updates! Decent game but gets old quick! Would def be nice to have a lil more options without paying $2+ bucks for very little gain! But mostly you would think the “trickshots” would be a “GOOD” thing.... you would think maybe it would count toward ur score and actually even be worth more then ur typical 1pt or at least give you some more time added but it actually does NOTHING and if anything your amazing “TRICKSHOT” does more damage then good! 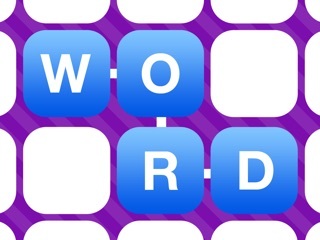 *other then that pretty simple quickly addictive game! 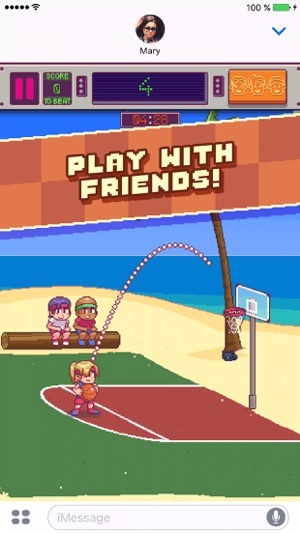 Hello creators of Cobi Hoops, I had recently played this this game and was really hard. But after a few minutes it just got really annoying. So my friend and I decided to uninstall it and play a different game of yours. 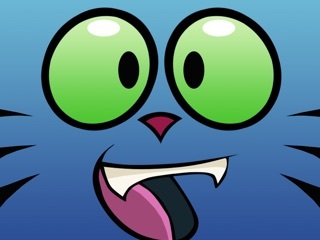 But after we had found out that we could not even uninstall it, we were both raging, trying to find a way to uninstall the game. Please, tell us a way to uninstall this game. Thank you.